STANFORD, Calif. – Stanford’s Angell Field was an oasis of grandeur for Florida State’s discus throwers Saturday as the Cardinal Classic drew to a close. 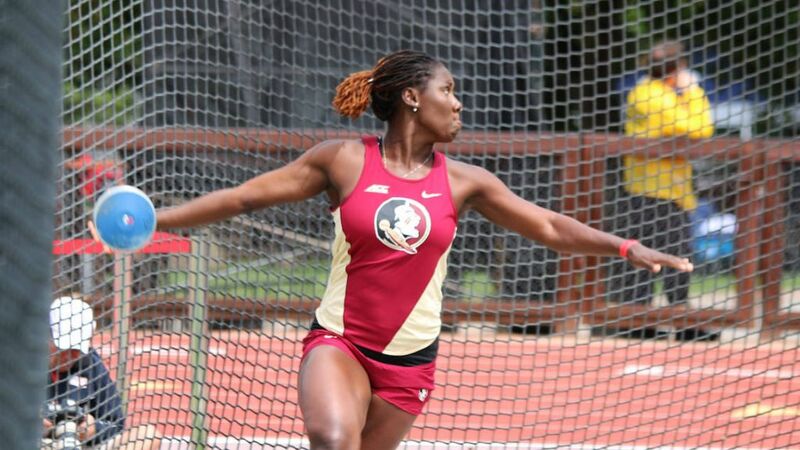 Kellion Knibb broke her own Jamaican national and Florida State school records, extending her NCAA lead with a toss of 61.59 meters (202-1) and Emmanuel Onyia’s best of five personal-best marks on the day (59.62m/195-7) moved him to No. 10 in the country and No. 3 all-time among Seminoles. The only difference between the two Jamaicans was Onyia was able to make off the win, outdistancing teammate and runner-up Austin Droogsma (55.24/181-3) for top honors. 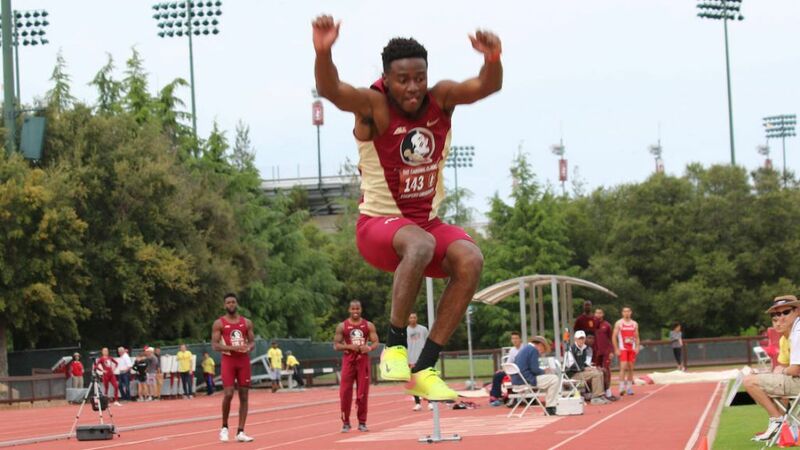 Droogsma and fellow Nole Fred Jones (51.04/167-5) also recorded personal bests. Knibb was not as fortunate when it came to the outcome, though there is no shame finishing second behind the fourth-best mark in the world this year. Valarie Allman, who is redshirting this year at Stanford, won with a U.S.-leading mark of 64.69 meters (212-3) which broke a 15-year-old stadium record. Knibb’s bomb came in round three, immediately preceding Allman’s answering record throw. As a small consolation she walks away with the No. 15 mark in the world this year. Gleneve Grange finished third (55.89/183-4) and Shanice Love (50.50/165-8) was fifth, each flirting with season-best marks. Grange, however, wasn’t through. The redshirt junior came back with a personal-best in the shot put (16.16m/53-0.25) to finish second and move to No. 3 on FSU’s all-time list. 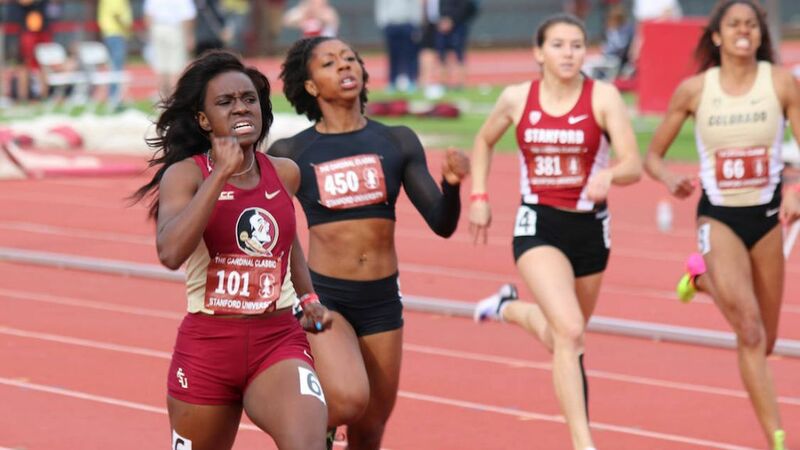 Overall it was a strong closing day by the Noles, who posted five victories, pushing their two-day total to 11, and registered 11 more personal-best marks. Before moving over to the discus, Droogsma opened the day with a win in the shot put, out-classing the field with a top mark of 19.16 meters (62-10.5). Sophomore Armani Wallace put together his finest triple jump series of the season, capped by a personal-best 16.13 meters (52-11) on his sixth attempt to take the victory over teammate Montel Nevers. Nevers’ 15.51 (50-10.75) was a season-best. Cortney Jones and Nicole Setterington finished 1-2 in the 100-meter hurdles, though their heat was marred by a tumble that took teammate Peta-Gay Williams out of the race over the second hurdle. Sophomore Shaquania Dorsett was the class of the field in the 400-meter dash, finishing strong in a season-best 53.03. Aside from the victories, there were a handful of impressive individual efforts, none more notable than Michael Hall’s seventh-place finish in the 1500-meter run. Racing against an elite field, Hall more than held his own, charging to the finish in a lifetime-best 3:43.70. 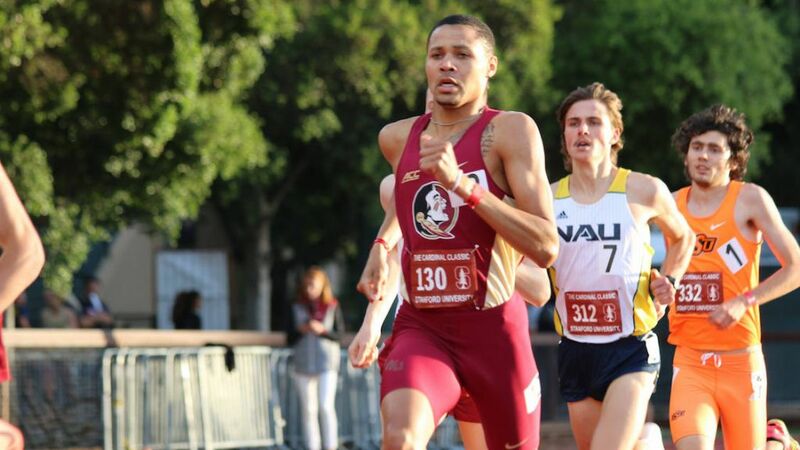 By shattering his previous best of 3:47.02, Hall cracked FSU’s all-time top 10 list at No. 7. Shauna Helps went head-to-head with Harvard’s Gabrielle Thomas, one of the nation’s best, and finished second in a lifetime-best 11.53. Among other noteworthy efforts, Tara Rooney’s steeplechase debut ended with an ACC Championships qualifying time of 10:48.73. Madison Harris followed up her 800-meter PB on Friday with a 1500-meter PB (4:37.68).